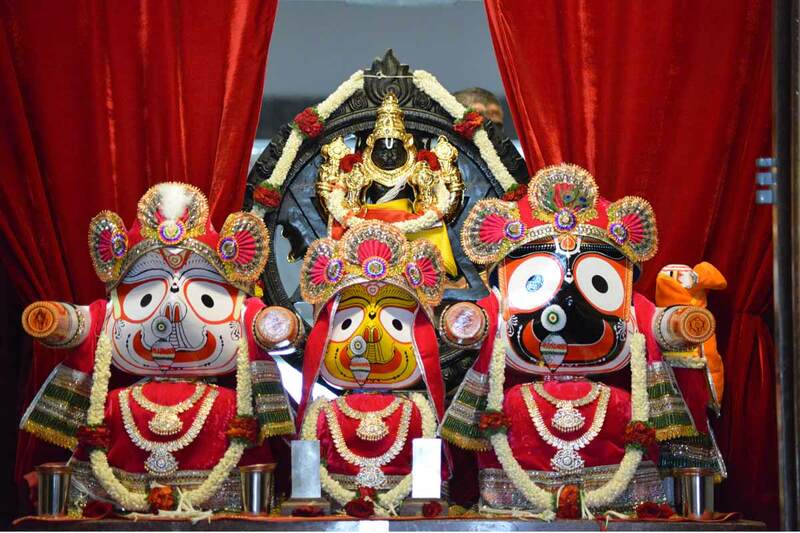 Lord Jagannatha is the Lord of the universe and He is none other than Lord Krishna. 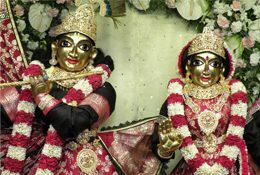 Lord Baladeva is His elder brother who gives spiritual strength and pleasure to the devotees. Subhadra is Their sister. 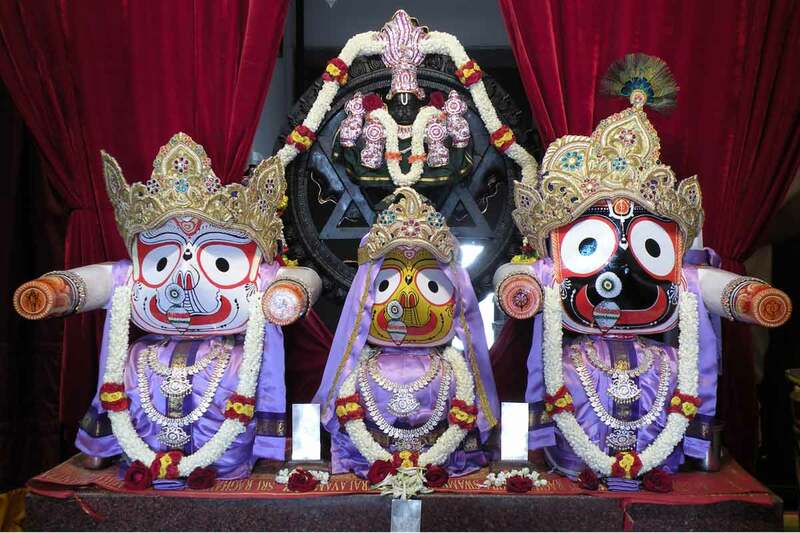 The forms of Lord Jagannatha, Baladeva and Subhadra show Them in Their highest ecstatic feelings. 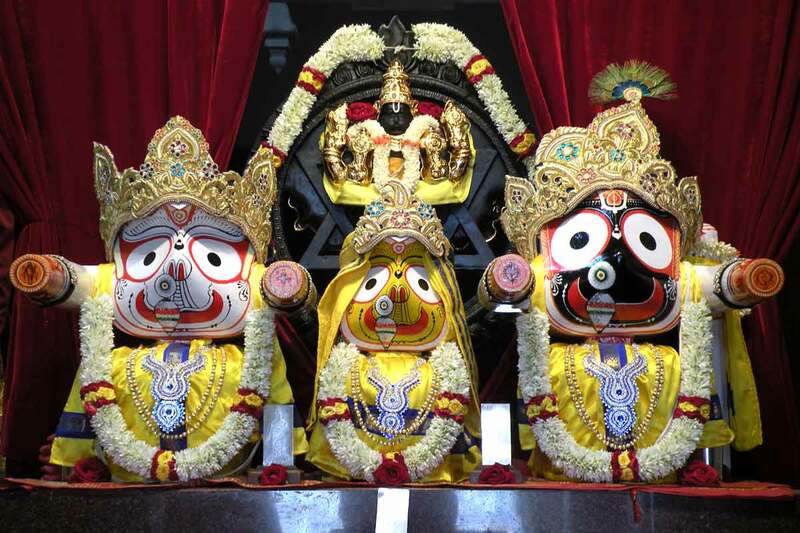 Sri Chaitanya Mahaprabhu, the proponent of pure devotion to Lord Krishna, wanted to always see these ecstatic forms and so He remained in Jagannatha Puri for 20 years. 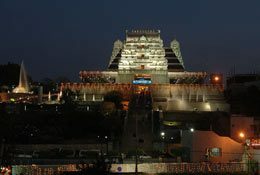 Every year a grand Ratha Yatra of Lord Jagannatha is celebrated at Vaikuntha Hill and hundreds of devotees take part in pulling the Ratha on this occasion.